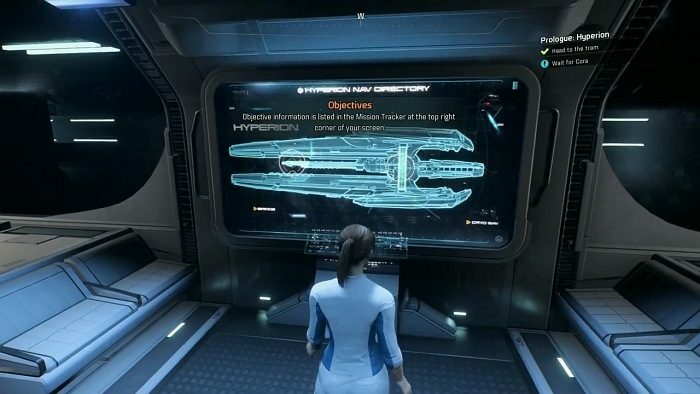 This is Samurai Gamers‘ walkthrough for the Prologue: Hyperion mission in Mass Effect Andromeda. You wake up from 600 years of cryosleep after the ship Ark Hyperion arrives at the Andromeda Galaxy. The ship’s personnel tends to you, identifying you as part of the Pathfinder mission team, tasked to find a new home for humanity in the far reaches of space. Dr. Lexi T’Perro, a member of the ship’s med crew, checks your condition. Pick an answer to her question. 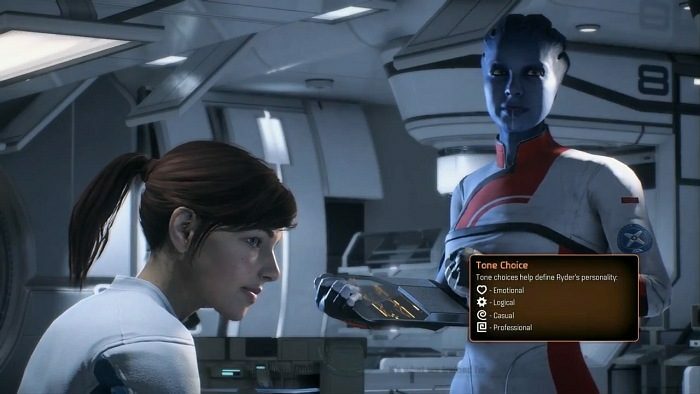 This introduces you to Mass Effect Andromeda’s dialogue option and Tone Choice system. Text Easy is no fun. It’s what we trained for. The game has four main response tones: Casual, Logical, Emotional and Professional. A multiple choice dialogue with at least two options corresponding to the tones will appear at certain points in the game, or when you interact with other characters. Pick either the Professional or Casual options when interacting with Dr. T’Perro. She then activates your AI implant, SAM, who talks to you. Choose any of the dialogue options available. Text My implant? Yes, I’m excited. Still thawing. A sudden jolt shakes the Ark Hyperion. 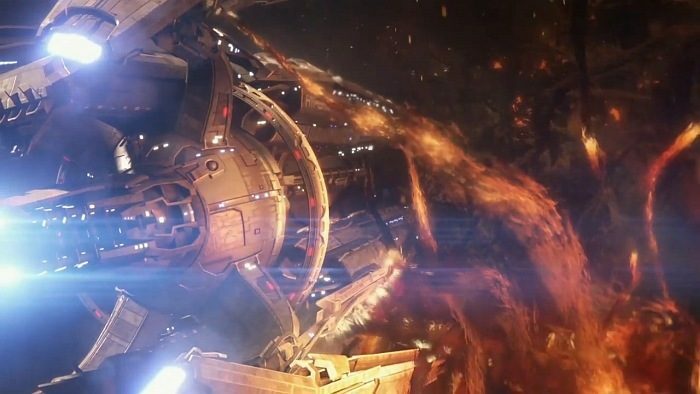 The ship has apparently crashed into something, damaging its internal gravity system. 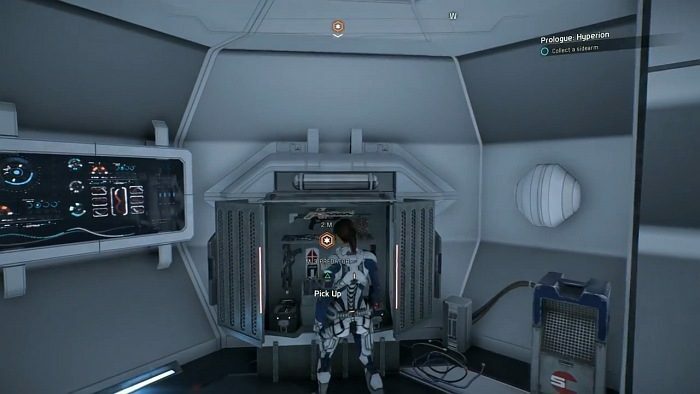 This is where you will first learn to use the game’s camera system. 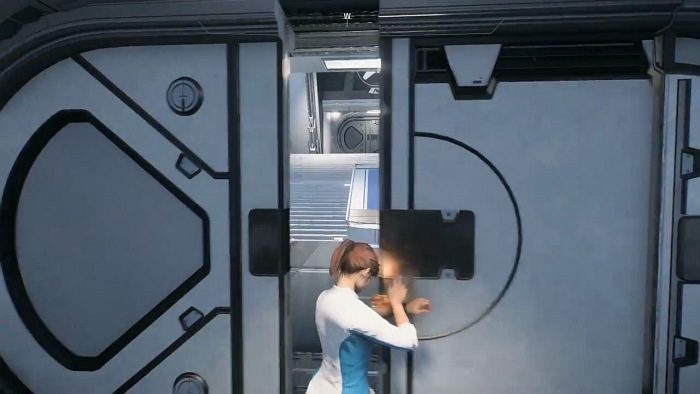 Cora Harper, another Hyperion crew member, arrives and manages to reset the gravity inside the ship. 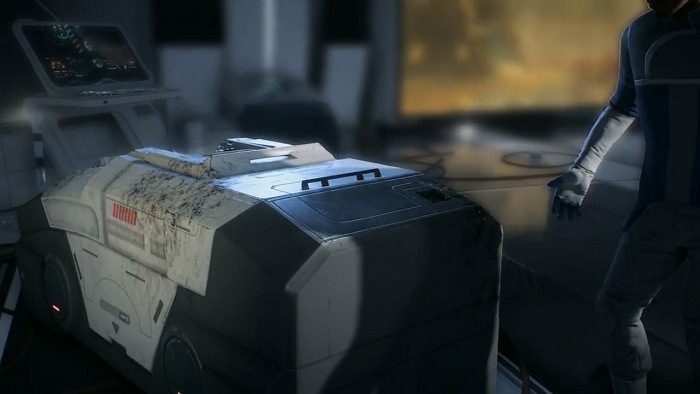 You learn, however, that the Hyperion’s internal systems were not the only ones affected by the accident, as your twin’s cryosleep pod shows signs of damage. Have a look around the place. Interact with the Information Wall to answer any questions you might have. 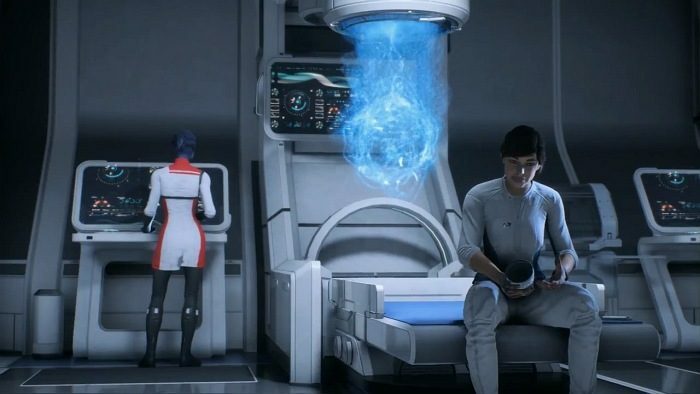 You can also chat with some people in the medical bay. When you are through, follow the orange indicator to the door behind you and go through. A machine on your left explodes as you enter the door. Find the defective part using your Scanner, which reveals it as Relay 2-C, on the right side of the machine. Walk over to the panel on the side of the machine, and interact with it to reset the relay and make the machine work again. With your repair work finished, climb the stairs and enter the door on top. Go through the corridor, then through the next door. Wait for Cora in this area. 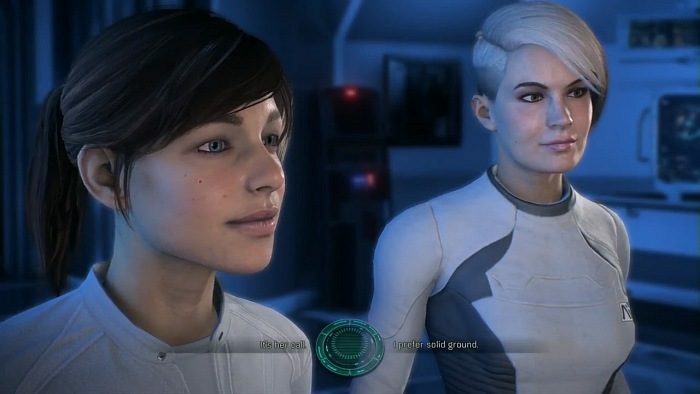 You and Cora arrive at another area of the Hyperion to find your father, Alec Ryder, debating with Dunn, the ship’s captain. He wants to proceed to the planet, while she wants to hold back and assess the damage to the ship. Text It’s her call. I prefer solid ground. You need to choose a side. Whatever side you pick, however, your father will talk someone down. 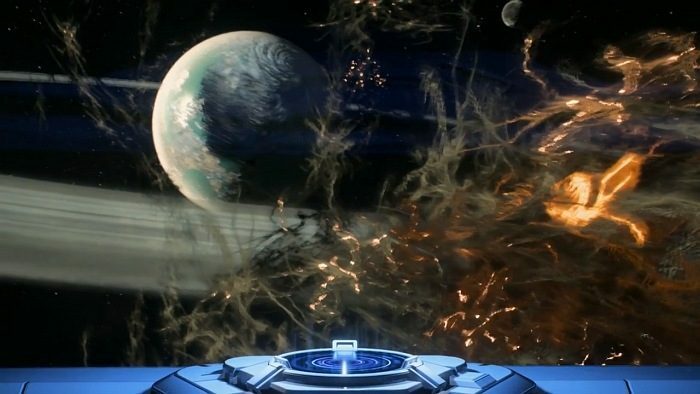 Captain Dunn suddenly sees a planet as it comes into view. 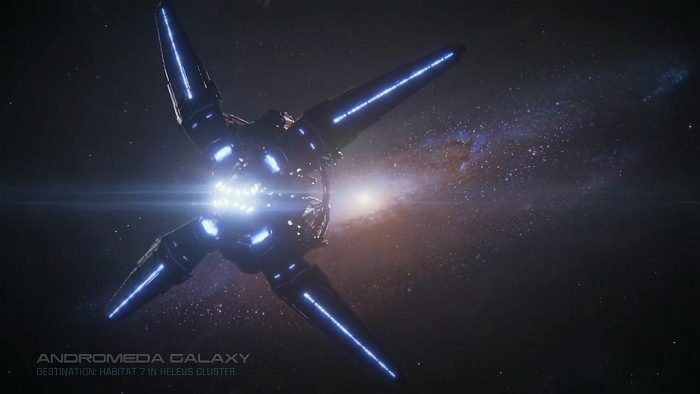 Alec Ryder explains that it is Habitat 7, hopefully the new planet Earth. The scans of the planet and the ship’s power levels aren’t looking so good though. Text We can’t give up now. It looks bad. Despite the danger, Alec Ryder decides to take a ship down to the surface to investigate anyway. 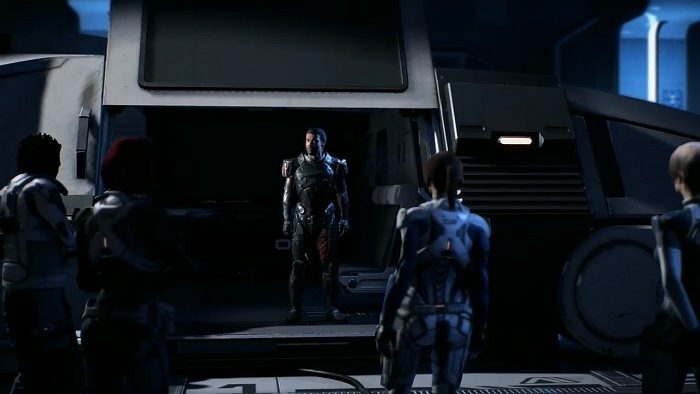 Ryder orders his crew to prepare. When he leaves, you and Captain Dunn talk a little, then she goes off as well. Text He takes after me. He’s not a people person. 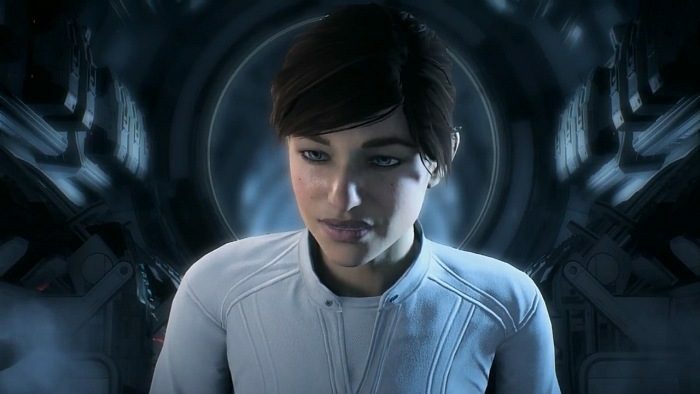 A cutscene follows, showing you and Cora talking as you prepare to join Alec Ryder. You’re standing in the middle of a large room with Cora. Some of your team members are in the room as well. Your helmet is on the shelves near Kirkland and Greer. SAM will also remind you to get a sidearm, which is hanging in a corner on the other side of the room. 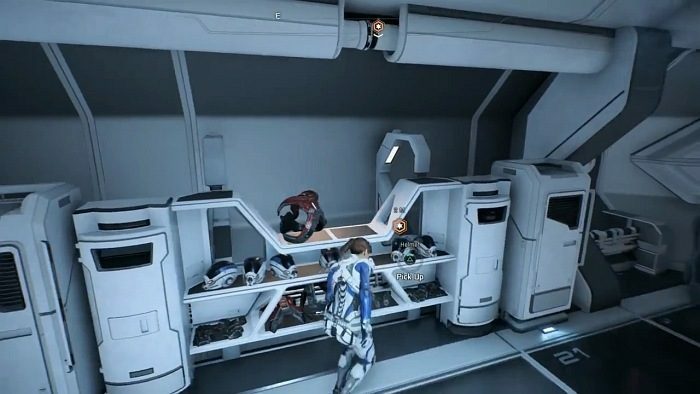 When you get both items, report to the hangar bay with Cora. 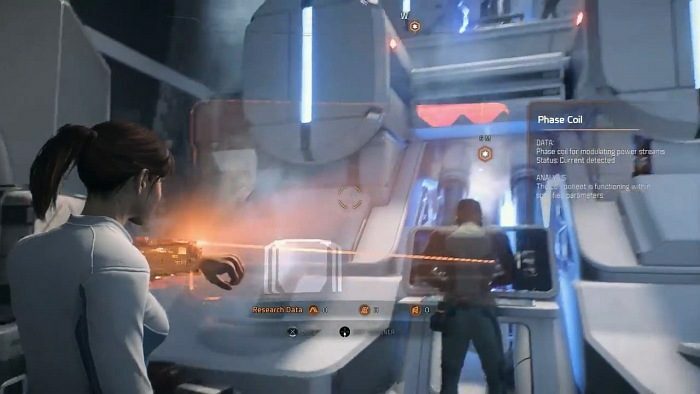 You and Cora will meet up with Dr. Carlisle, another Pathfinder team member in the hangar bay. Cora tries to convince him to stay behind on the Ark, but the doctor is determined to join the team. Alec Ryder then appears, and gives a short talk to the force. The Pathfinder team boards the shuttle, and the Prologue: Hyperion mission ends.